Once a market leader among Western 24-hour news channels, CNN has now become infamous for its slipshod mislabeling of maps across the world. This week the network hit a new low, transforming a synagogue into a mosque. CNN's coverage of the Jerusalem terror attack on November 18 raised eyebrows in Israel and overseas. Reporting live on the horrific attack at a Jerusalem synagogue, which left three Israeli-American citizens and one British-Israeli citizen dead, the American network ran the questionable headline: "4 Israelis, 2 Palestinians killed in synagogue attack," misleadingly failing to note that the two Palestinians were actually the attackers. What's worse, CNN ran a graphic that said that the attack happened at a "Jerusalem mosque," provoking a wave of social media outrage. CNN's often geographically-challenged news coverage in November has occasionally slipped from the merely slipshod to the realm of total disaster. The apotheosis came when the news channel accidentally "killed" none other than President Barack Obama - instead of Al-Qaeda leader Osama bin Laden - in one of its shows. The channel’s Erin Burnett OutFront show was dedicated to Robert O'Neill, a Navy SEAL, claiming to be the one to have shot and killed Osama bin Laden in the 2011 raid on a Pakistani compound. 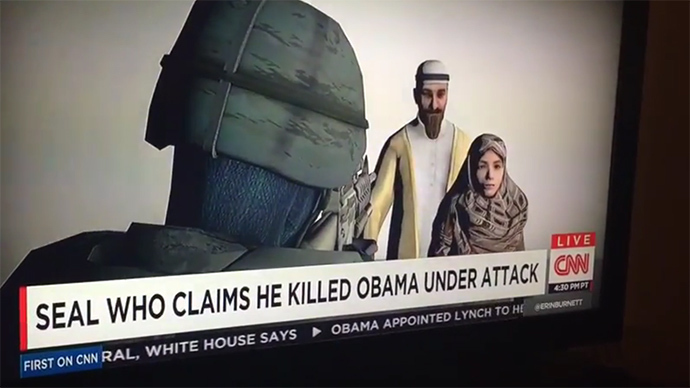 For nearly a minute, a graphic super on show mistakenly read “SEAL who claims he killed Obama under attack”. In mid-September CNN embarrassed itself while covering the independence referendum in Scotland. The news channel featured a graphic which showed that 110 percent of the Scottish had been polled. Many viewers said CNN journalists need some math and geography lessons. 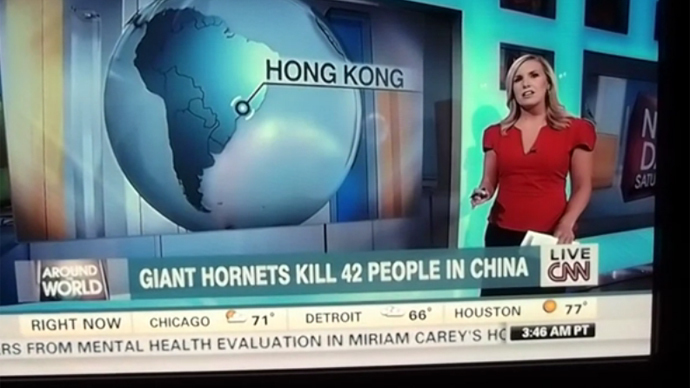 Math may not be CNN’s weakest subject, but geography probably is. Having recently rolled out its new slogan "Go There,” it’s clear that whatever direction CNN is headed, someone left the map at home. The US channel recently outdid itself when it relocated the capital of Great Britain all the way to Norfolk, much to the surprise of the local residents. Previous gaffes included relocating France's Cannes, famous for its international film festival, to Spain and Hong Kong, just off the coast of China, to South America. Covering the New Year’s celebrations around the globe, CNN flashed a caption suggesting that Auckland, in New Zealand, was a city in Australia. Then in March, CNN said that the Malaysian capital, Kuala Lumpur, was in Indonesia. 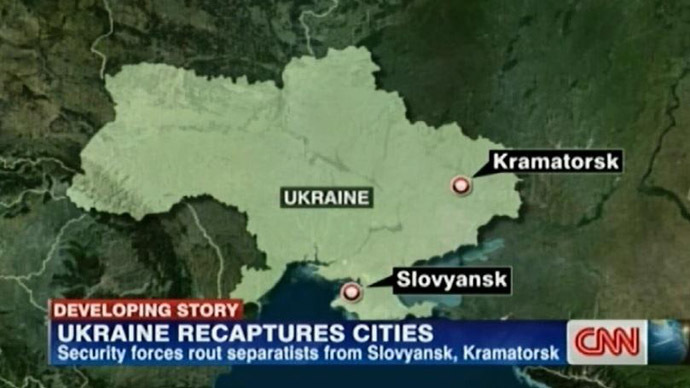 This summer CNN relocated the Eastern Ukrainian city of Slavyansk in an infographic – all the way to the Crimea peninsula. And if that wasn't bad enough, earlier this year the channel reshaped the world entirely, suggesting on its map that Eastern Ukraine was somewhere in Pakistan. 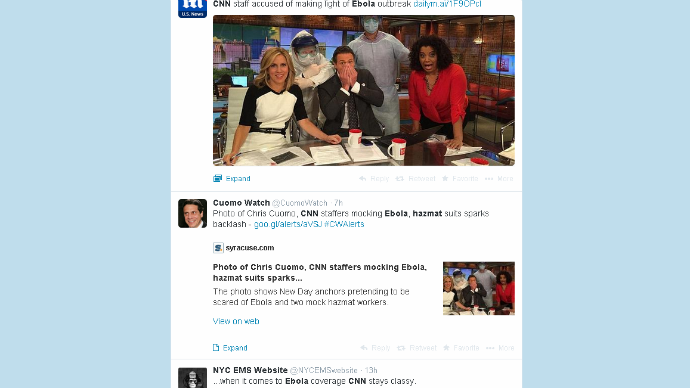 In August, CNN identified Niger as Nigeria when reporting on the world’s worst Ebola outbreak. The mistake did not go unnoticed by multiple sharp-eyed viewers.